The New Dork Review of Books: The New Dork Review Turns Two: Time to RIOT! Happy anniversary! AND Happy Birthday! I'm excited about the Book Riot (but would never unfollow the New Dork Review in the meantime). Congrats on lots of excellent, book-lovin' madness. Awesome news! I look forward to new and varied ways to encounter your always-excellent book thoughts, my friend. 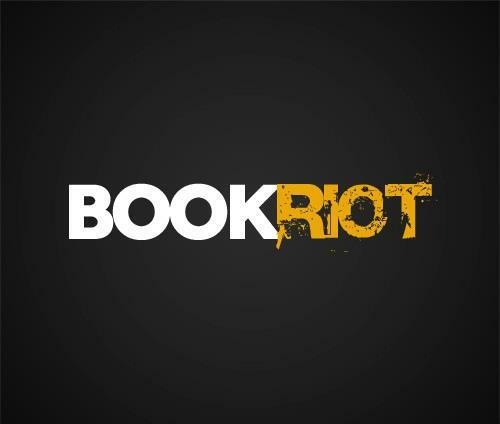 Congratulations - And Book Riot looks like loads of bookish fun - can't wait to see how it develops. Congrats on your two years blogging with us other bloggers (I've been blogging for 2 1/2 years so far and it's been great... so much as improved on Blogger and I don't intend to stop doing this). Also, with technology bringing us closer together, I wonder what else will happen next to this great computer world? And BookRiot looks brilliantly funny and exciting. I had a look at it and may have another look in a few days' time. I didn't realize you were coming up on this milestone! Congrats Greg. Congratulations! Hope for many more years of insightful posts! Congrats on your second year of blogging and best of luck with Book Riot.